If you’re anything like us and love to look at beautiful Christmas lights around Austin, we’ve got you covered. With help from Austin Monthly and Southern Living, we’ve compiled a list with some of our favorites. Come out and see one of the largest light events in the city. With over 40 displays and 2 million lights, be sure not to miss this one. There are holiday activities for everyone, nightly entertainment, and many different food trucks to choose from. If you’re in the mood for a light, half-mile stroll, this light show is for you. Enjoy the light displays and purchase a small snack from the many non-profits and civic groups that come out and sell treats. Just look for the 50′ Christmas tree! The Domain offers lots of options when it comes to holiday fun. Watch the light show offering more than 200,000 lights synchronized to Christmas music at 6, 7, and 8 pm. Get your photo with Santa. Take a free horse-drawn carriage. Listen to Christmas carolers. Or, come to a live music show. This holiday favorite is a great tradition. Listen to live music while luminarias and lights fill the garden. Food trucks and snack bars provide your favorite holiday treats and different activities are provided. Grab a cup of coffee and enjoy this famous light show. One million LED lights formed into various shapes such as guitars and a Christmas tree with presents twinkle to Christmas music. As a special treat, more than 20 different choirs signed up to sing along. You won’t want to miss this. You may be familiar with the mile-long lights tour that is normally found in Old Settlers Park. This year however, it will be held in Downtown Round Rock. 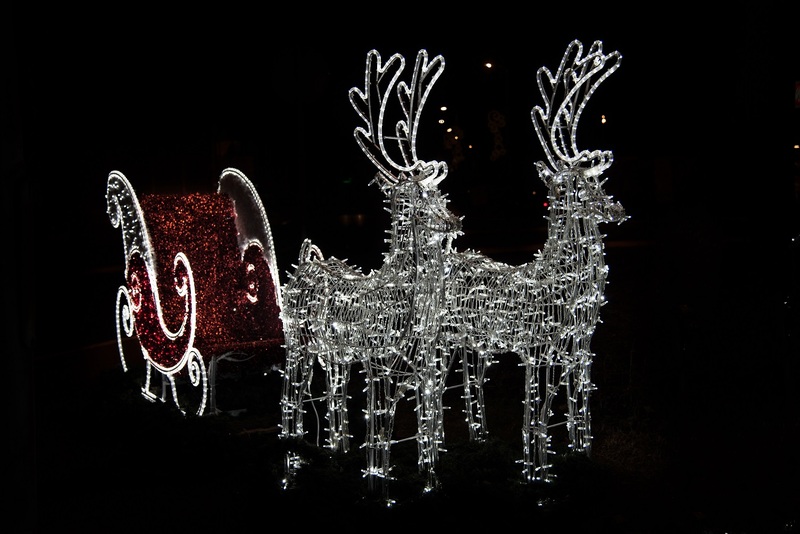 Thousands of lights will be on display for your viewing pleasure. Make sure to bring the hot cocoa. This bar provides a Christmas escape year-round with Santa and his reindeer on the rooftop and lots of Christmas nostalgia. Stop in and try their Boozy Eggnog while being surrounded with lights, Christmas trees, and even Santa!